“I’m really sad. I took it for granted that Dawson and Blyleven were going to get in.”-Hall of Famer, owner of 8 NL batting titles, and 3141 base hits, Tony Gwynn had to say about Bert Blyleven’s Hall of Fame snub last year. When Robin Yount was a rookie he said “If I have to face guys like Bert Blyleven, I don’t think I’m going to make it at this level.” and after facing Blyleven 114 times, he hit .182 with 1 home run. And Robin Yount was a damn good hitter. The main knock against Blyleven is the notion that he wasn’t dominant enough. I suppose it all depends on your definition of “dominant.” He falls squarely into the mantra for current Twins pitching. Throw strikes. And he did that. Posting a 1.14 WHIP in his first stint with the Twins, and a 1.2 WHIP through the rest of his career. Blyleven retired with a 1.198 WHIP. When Robin Yount was a rookie he said "If I have to face guys like Bert Blyleven, I don't think I'm going to make it at this level." But limiting walks wasn’t the only thing “The Frying Dutchman” could do. He knew how to hold on to the baseball. 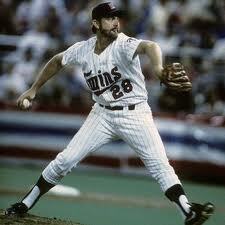 In his 22 MLB seasons, Bert Blyleven pitched 200 innings 17 times, and 300 innings once. With 242 complete games and 60 shutouts, he ranks second all time in both categories. Second only to the immortal Nolan Ryan. That’s not where the Nolan Ryan comparisons end, either. Ryan is the all-time strikeout leader with 5,714. Blyleven is fifth with 3,701. Right after Randy Johnson, Roger Clemens, and Steve Carlton. And while the Anti-Blyleven crowd often expresses admiration for his strikeout total, the very next thing they say is “He was an accumulator. He stuck around to get that lofty total.” But they never seem to realize that out of every member of the 3,000 strikeout club, that have officially retired, only Tom Seaver, Fergie Jenkins, Bob Gibson, Curt Schilling and Walter Johnson had shorter careers. They also have less strikeouts. And the only one has a WHIP that is ridiculously higher than Blyleven is Walter Johnson at 1.009. Blyleven is every bit as dominant, from a statistical standpoint than every one of these pitchers. There are two knocks against Blyleven when it comes to his not being in the Hall of Fame. The lack of a Cy Young Award, falling 12 wins short of 300. Both of these truly confuse me. Bob Gibson has 251 wins, and Nolan Ryan doesn’t have any Cy Young Awards. He has the misfortune to have played in an era when wins were THE way that starting pitchers were evaluated. And when he became eligible for induction, we were still in that era. He also had the misfortune to pitch for a team that had Joe Lis (who?) 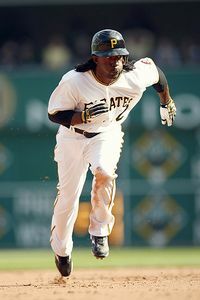 as the starting first baseman. Hardly Blyeven’s fault. He does, however, have a no-hitter. September 22, 1977. On Blyleven’s last start of the season. 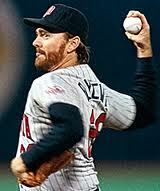 Blyleven hurled 9 no hit innings, striking out 7 California Angels, and coming one walk away from a perfect game. 28 batters faced him, and he retired 27. He and teammate Dock Ellis likely went out to party that night. Having fallen 5 votes short in 2010, Blyleven should be expecting a call in 2011. It should be a great early birthday present.